When you register at the surgery we ask you to complete a form with some basic medical information as it takes some time for your full records to arrive. You may be asked to make an appointment if you have particular medical problems or medication that we would like to discuss further with you. We reserve the right to decline applications to join the practice. Do you live within our boundary area? Every GP practice has a specific registration area and our area map is displayed below. We will happily register any patient who lives in this area, please note you may be asked for proof of address. If you move, but remain in our practice area we can continue to be your GP, please let reception know of your new contact details. When you register at the surgery we ask you to complete a form with some basic medical information as it takes some time for your full records to arrive. You may be asked to make an appointment if you have particular medical problems or medication that we would like to discuss further with you. We reserve the right to decline applications to join the practice. You can download the registration form and new patient questionnaire here to bring with you to the surgery when you register. 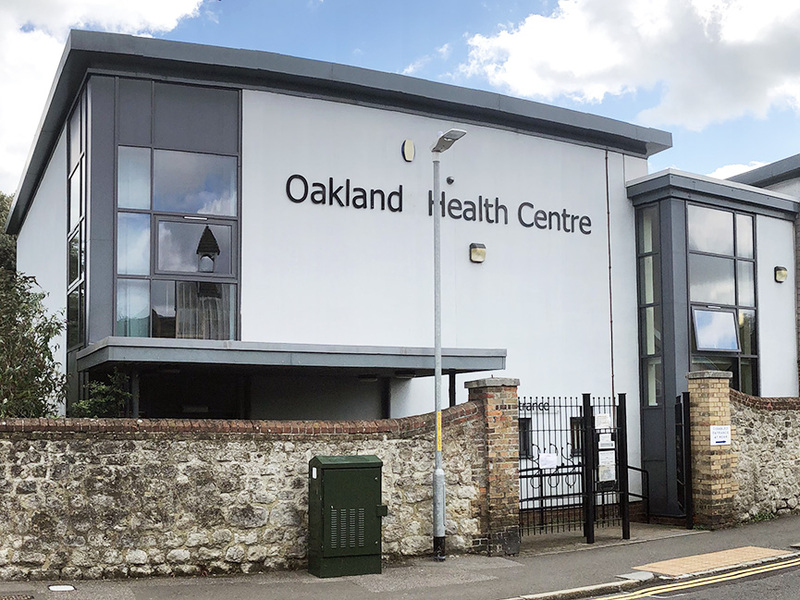 Oaklands Health Centre provide all patients with a named "usual GP" who will have overall responsibility for the care and support that our surgery provides to them. We encourage patients to try and see their usual GP where possible, particularly for ongoing problems. We need to divide our patients evenly between all of our doctors, so they can manage their workload. Therefore the "registering GP" rotates from week to week based on each GP's list size. We try to keep families under the same usual GP where possible, so new babies will be registered with their mother's usual GP. If you wish to be told the name of your usual GP, please ask the reception team when you are next in the surgery.